The nine-to-five grind wasn’t working for Melissa Attagutsiak. She was bored working various government office jobs in Iqaluit, and unsure where she was headed. “Someone asked me what my dream was,” she says. She didn’t know the answer. So, Attagutsiak traded office-casual for haute couture runways. Three years later, the 25-year-old self-taught designer brought her Nuvuja9 styles to the Indigenous Fashion Week showcase held beneath the Eiffel Tower during Paris Fashion Week in March. 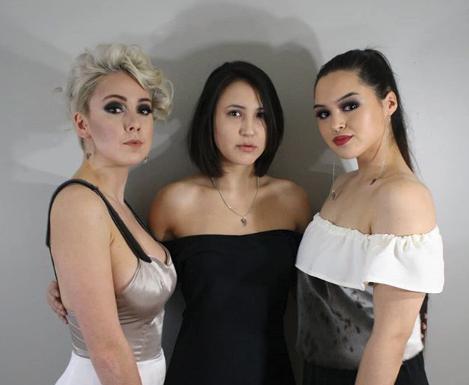 There she joined other Indigenous designers—such as fellow Nunavummiut Victoria Kakuktinniq (of Victoria’s Arctic Fashion), and Sho Sho Esquiro, a Kaska Dene and Cree designer from Ross River, Yukon. Like those artists, Attagutsiak’s work blends traditional Inuit fashion materials and designs with modern styles. Her Nuvuja9 line (“nuvuja” means “cloud”) focuses on custom jewellery and formal wear. In Paris, her collection featured a champagne-and-white gown with sealskin straps paired with earrings made from polar bear cub claws. “I thought it would be really good to dress [the Indigenous models] and create pieces that make them feel empowered while they show the world what we’re here to do,” she says. It could’ve been a classic. So why did a high-flying NWT musical miss its chance?